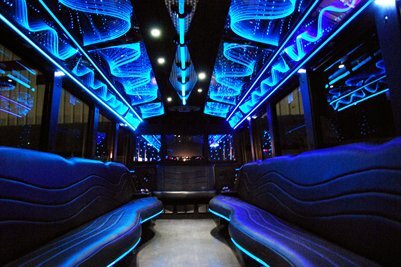 Party Bus Plano provides you with the best transportation services in Texas. Make plans for a corporate event, bachelor party, wedding, homecoming, or prom. Our customer support team can give you a quote in seconds on any of the vehicles for hire. We offer 18 passenger, 22 passenger, or 40 passenger party buses. Call us now for more information and a free quote 214-206-9269. Party Bus Plano will help you in choosing the right vehicle. You can make a reservation for your outing whether you need us for a one way trip, or eight hour rental. Our company provides you with transportation with a fun and entertaining ride. If your group has less than 20 passengers, try our Plano Limousine service. We ensure that you enjoy a party like atmosphere inside our rides. This is why you will find all facilities like dance poles, live DJ music, disco lights, hardwood flooring, plush leather seats, and more all to make your trip a memorable one. Get ready to head out to any of the great events around the city with your sweet ride. Get everyone together and head out to the Plano Balloon Festival and the Plano International Festival. Enjoy the comfortable leather interior seating and bring your MP3/IPOD player and listen to your own playlist. The 18 passenger Plano party bus is great for sporting events, corporate events, weddings, or bachelorette party. Make your way to the American Airlines Center and check out the Dallas Mavericks and Dallas Stars when they play against a conference rival. 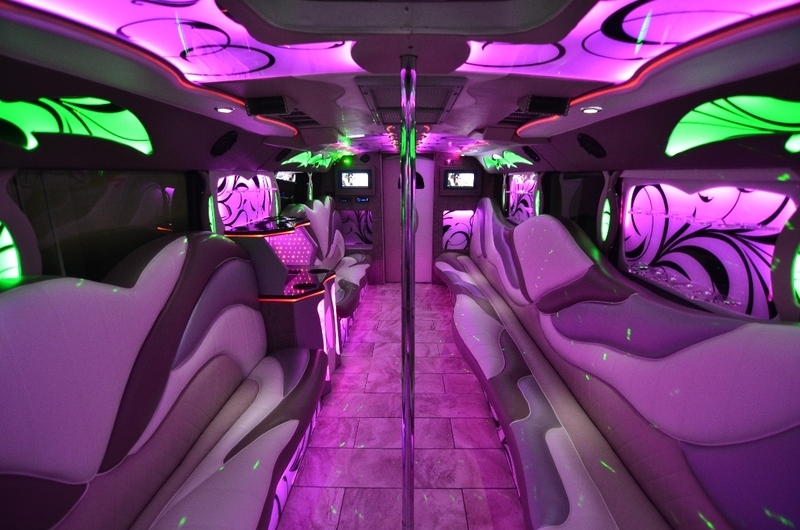 If you need special party buses Plano from our fleet, then you will have to book the vehicle in advance. You can book by filling the request a quote form on our website. Here, you will be asked to enter the number of passengers, to and from destination, pick up time, type of vehicle, and a few other details. We have drivers who provide quality chauffeur services to make your wine tours, concert trips, day trip to neighborhoods, etc., using a party bus rental is a once in a lifetime experience. You will not have any complaints about the quality of service. Interurban Railway Museum; a historic train station in Plano where you get to see old exhibits of electric train line, trains, etc. Heritage Farmstead Museum; a popular farm museum to get to know about farming. Jasper’s; a high end restaurant that serves delicious American barbecue dishes. Bob Woodruff Park; a community park to enjoy many recreational activities with family. The 22 passenger party bus provides you with even more room when making plans to head out to the State Fair in Texas for the Red River Shootout between Texas and Oklahoma at the Cotton Bowl. Enjoy all of the fair festivities and sit back and watch the pregame show before the game starts on the large LCD screen within the vehicle. Make your way to some of the hottest places around town and go to ORb Nightclub, Pete’s Dueling Piano Bar, New West, and Far West. Our professional chauffeur service is your designated driver as you and your party enjoy a fun night of drinking. We provide you with the right vehicle for a bachelor party, bachelorette party, divorce party, or bar crawling. Ride in our 40 passenger coach bus that can typically be seen in weddings, corporate events, sporting events, quinceanera, or sweet sixteen. Our large LCD screen you can enjoy a pregame show, a game, or a movie as we make our way to your destination. Have your entire wedding party get on and we will take them to the reception so they can go ahead and not have to worry about driving and potentially getting lost to the venue. With our surround sound system listen to the radio or your MP3/IPOD player with our plug-in station. Enjoy the leather interior seating and sit back and enjoy the ride. Contact our live support staff with any questions you have 214-206-9269. The main reason why many of our customers returns back to book our party bus Plano for their travel needs is because of the amazing services we offer at the lowest prices in town. 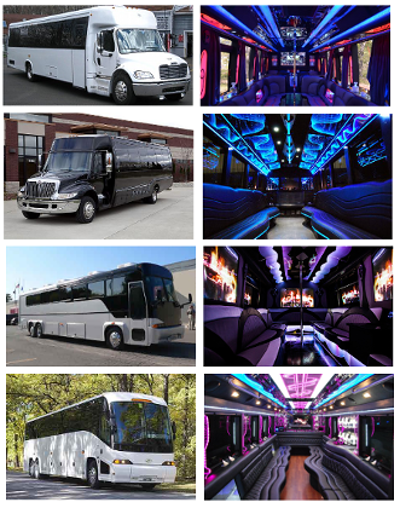 You will never be able to find another who offers party buses for rent at lower prices than us. We also offer charter bus service in Plano. Prices vary depending on the specifics of your rental. Let us provide you with airport transfer service to Dallas/Fort Worth International Airport. Have everyone ride together in the Plano party bus so you do not have to worry about anyone getting lost or arriving late to Dallas/Fort Worth Airport. Arrive early and get through the ticket counter and security check point so you do not arrive late to the gate. Our party buses can provide your family with a fun ride upon your arrival to Dallas/Fort Worth Airport. Don’t deal with multiple cab drivers and a few friends to provide you with a ride to the airport. Our Plano charter bus service will provide you with the room you need to transport everyone to Dallas/Fort Worth Airport. With the select of vehicles for hire you can plan for a prom, homecoming, airport transfer, bar crawling, and sporting event. Select from our library of Plano party bus rentals starting with our 18 passenger, 22 passenger, and 40 passenger coach buses. We provide you with a quote within a few seconds on any of our vehicles. 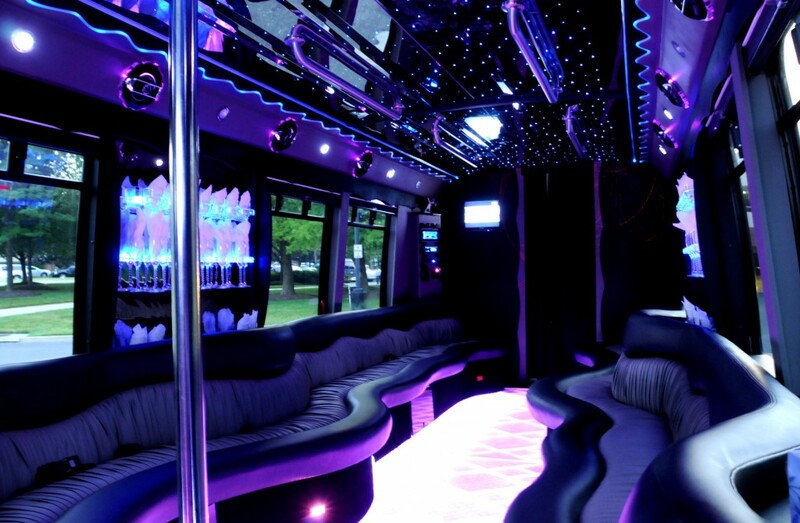 Party Bus Plano will be ready to have you celebrate with friends and family and have memories for a lifetime. 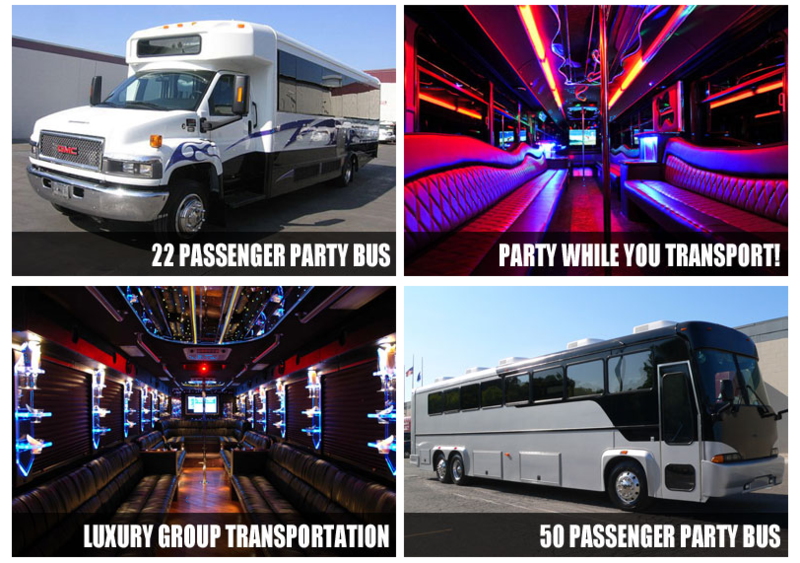 Some of the nearby options include party buses in Carrollton and Irving party bus rental.